100 Greatest Video Games of All Time (101-150). use the menu to your left to select a different destination. Madden�s football titles have created quite a legacy and have become the series to judge all others by. The varied selection and complexity of plays and tight and realistic defense put a new dilemma into each down that couldn't be resolved with a simple left sweep or a hail Mary that every other previous football game was remembered for. Although the animation in this first title is far from smooth, the variation in game play easily overcompensates. With the Madden titles, playing the smarter game would beat finger speed and patterned responses. Madden had turned football titles into games of skill. Audibles, weather conditions, and penalties also add to the realism, and you can save your seasons by password, never losing track of your skill-produced winning streak. Capcom took the beloved Disney cartoon, which at that time had already achieved popularity enough to produce McDonald's toys and stuffed animals based on the show, and produced one of the best games of the year. The story was a basic extension of the characters in the cartoon, where you choose either Chip or Dale to journey forth and rescue a neighbor, but along the way, a cute little mouse named Gadget is chipmunk-napped by the main villain, Fat Cat, and now you have another mission that accounts for bigger journey. It is not a difficult journey by any means, as it could be completed in the hour it was purchased, but it was a well designed journey nonetheless. Graphically, it exceeded the other titles of its era, the music always seemed to suit the action, the play control was precise, and the overall design was excellent. Though it might not have produced endless hours of originality and variation, it produced countless hours of repetition, by which somehow the fun never faded. Released in Japan under the name Mother, this game was supposed to be released in the U.S. with the new name of Earthbound. The game had finished the process of translation, and screen shots of this completed English version were being published in magazines. However, before beginning any marketing, Nintendo pulled out, watching the Japanese phenomenon, Dragon Warrior, tallying low sales in the U.S., and fearing Earthbound would only sell lower numbers. Because of this, Nintendo decided, though already completed, not to release it, and Earthbound would no longer have a U.S. release until Mother 2 was released here titled, once again, Earthbound. 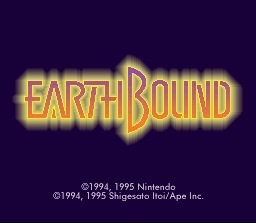 The beta version of the English version of Mother 1 was auctioned off and eventually turned into a ROM and was playable on emulators, and was known as Earthbound Zero to distinguish it from the SNES version. Different emulation versions have since been released, many of which say "Zero" on the title screen, but the true original is quite a rarity. This game takes the replay value of a puzzle game, like Tetris, bases the game play in marbles, and adds the characters from Bubble Bobble. Possibly the most obscure puzzle game yet, but the replay value is difficult to match. As one of the earliest home console role playing games, Crystalis built a legacy of its own through this one title. It differed from most RPGs in numerous ways, from movement patterns to battle scenes. On the map, in addition to faster walking, you no longer had to move from one square to the next, but instead could walk in any direction, diagonal included, not limited to where you stop. When monsters attack, there is no alternate screen to transfer to slowing down game play. Rather, the battle takes place on the map, and there is no turn-based fighting. Instead, the battle is strictly live action. Where this game does fall in line with typical RPGs is the story line: you, the hero, must save the world from a powerful and evil villain. It wasn't the first game to follow this plot, and it certainly wasn't the last. And although the difficulty was fairly low, the high quality in both graphics and music, and primarily the originality in game play has made Crystalis one of the greater RPGs in the history of electronic gaming. This underrated classic combined great action with RPG qualities, great graphics, a challenging quest, a mysterious shadow enemy, and a castle in the sky. It was a great design, a fan favorite, and was rarely praised in the reviews of its day. Named after the hero of the game, Rygar was given the task of returning peace to the land of Argool. The game begins in the view point of a standard side scrolling adventure, and later alternates to an overhead view. Although through this, the game play resembles an action-based title, you can re-explore previously completed areas, sometimes stumbling across places that were unable to be reached before. This helps to dampen the feel of a standard action / adventure game through less linear game play and more overall variation, not to mention adding to the already remarkable originality. This innovative title truly opened the door as the beginning of the now massively popular line of wrestling titles, whether it be WCW, NWO, WWF, or even the offshoot inside the ring fighting titles. Though the polygons often seemed a little loosely thrown together, the engine was amazing for its time and all the titles since this one, including its sequels, are little more than rendered imitations of the original. 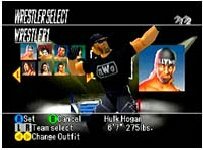 The game play, control, and replay value of these new games, however, have difficulty matching up to WCW vs. NWO World Tour. It was made after the 1997 season, and included all the superstars of the year, including Sting, Giant, the Steiner brothers, Flair, Hogan, Bagwell, Norton, DDP, Macho Man, and even bonus characters, such as Blackwidow and a boxer named Joe Bruiser. This was a clever cross between an adventure style game and a vertical shooter that made for an epic title. It was heavily underrated and never achieved mainstream popularity, but featured excellent graphics and sound, fast paced gaming, great control and game play, and a story to match. As it's told, an alien race sent a heavily populated planet, known as Naju, hurdling through space towards earth, with the intention of becoming the primary population. Your goal is to get inside of this colossal planet and stop the events to come, or otherwise face the end of human existence. A big arcade hit, the NES cover of this side scrolling fighter found the same success on the home console market. As the story goes, the president has been kidnapped by a band of ninjas, and so the army hired two tough looking guys off the street to save him. You can play as either of these two "dudes", Striker or Blade, but they're exactly the same aside from clothing color. Regardless of who you choose, you can perform either a spin kick or a power punch to do your damage as you travel the streets, finishing each level with a classic boss. The most classic of these being Karnov, who not only concluded the first level, but got a game of his own. All in all, bad dudes was a classic game with good game play, excellent music, and the always loud and memorable, if not comically thrilling, "I'm Bad!" upon the completion of each level. This title had more cult popularity than anything, and sadly, that doesn't bring its score up as high as it may deserve. But all things considered, it was a great game. It played like Double Dragon but along the way, your character, either Alex or Ryan, had the ability to buy food and items in shops that built up their stats. The story was basically a young Double Dragon, as your goal was to rescue your girlfriend from a rival school gang. Harvest Moon, appropriately named, is a very open-ended farming simulation game where you play a young boy who acquired some ill-kept farmland, and what you do from there is up to you. Logically, most players would begin weeding, rock smashing, cleaning, and so on to make your farmland worth farming. Then you can begin buying seeds, planting crops, plowing fields, reaping the harvest, reinvesting the sales, and flirting with various girls as you look to choose your bride. As the game advances, you begin to manage animals, upgrade your tools, and so on, progressively adding complexity to the game play, which all along is far from linear. Most people remember this title for the rather harsh intro music, "Skate... or... die... Skate or die... die die die die die!" But in addition to this quirky theme, the game offered two different modes, the half pipe, or a little adventure starring the same skater. In this, your goal is to build a half pipe, but while skating around, you hit the mayor's dog, and now he's against you, as well as a guy named Icepick, for some reason or another. And all of this just makes your project that much harder. And to make matters worse, Icepick stole the plans for the half pipe and kidnapped your friend TJ. So this awkward villain must be dealt with in addition to raising money for the project by being a skating delivery boy. Sure the story is miserable, but the game play was excellent and it fueled the popularity of skating games before the concept of any Tony Hawk game existed. Pac-man is possibly the most recognizable video game character ever, designed to resemble a barely eaten pizza. Tohru Iwatani originally designed him as a cheese pizza with a slice missing, and named him Puck-Man, changing the name just before the release. Though it wasn't an original Nintendo design, Pac-Man has appeared on virtually every video game console ever created since his debut in 1980. In 1981, the first home-console Pac-Man title was made available on the Atari 2600, and it was absolutely horrid, but ground-breaking nonetheless. The next year, the arcades were given Ms. Pac-Man. Though it was an attempt to target the female population, it ended up outdoing Pac-Man all-together. With its success, they decided to release a slew of titles, including Super Pac-Man, Baby Pac-Man, Pac and Pal, Professor Pac-Man, Jr Pac-Man, and so on. Not one of these follow-ups really showed too much success though. The NES version, published by Namco Ltd, was not released until November, 1993 and was one of the very last NES titles to make an appearance. Though there was a Game Boy version that was released in April, 1991, the NES always fetches a few more votes. However, don't think that the ranking for this particular title signifies the power and popularity of the Pac. Before NHQ eliminated all non-Nintendo titles, there were a couple positions in the upper ranks outside of Nintendo's hold. Out of the top 20, three positions were held by those non-Nintendo's, 9, 10, and 12. And in one of those spots, the original 1980 Pac-Man arcade stood its ground. The long standing fame of the missing-sliced-pizza-face will seemingly never fade. The Mario Land games have always been well-taken by nearly all players, but this one featured something a little different. No longer were you playing as Mario, but Wario his evil counterpart, first introduced as the enemy in the previous Mario Land title. Now Wario was the hero of the game and some fans loved the new perspective, while others were disappointed with the odd switch. But as you can see, enough of the Mario fans enjoyed the variation to put Wario Land on the charts. One of the last releases for the N64, and designed to appeal more to western audiences, Sin and Punishment was unfortunately passed by NOA and NOE for an English language translation. It still, however, managed to find itself a considerable level of popularity. Graphically, Sin and Punishment exceeds all expectations from an N64 game, pushing the limits of on-screen items without experiencing a slowdown of the frame rate. Though much of the written text is in Japanese, there is enough spoken English to provide understanding of the story in both languages, and a surprisingly deep story it is. Its depth exceeds most games based in plot development, as well as the quality of its action exceeding most action titles. As a rails shooter, it guides you along a predetermined path, allowing the freedom to shoot and move freely within those boundaries. It represents the true successor to the 2D shooter operating on the same principle of forced scrolling environments, limited movement, and the primary focus of total destruction. You fire with the aid of on-screen crosshairs controlled by the analog stick, using the c buttons to jump, duck, dash, or double jump. In addition to the already varied movement patterns, you can toggle your weapon firing status between lock-on mode, free firing, and homing shots. But when the battle gets close, your character reveals a laser sword. If you can imagine soaring through the sky on a chunk of earth, strafing huge battleships, using your sword to knock their missiles back at them, all the while fighting off legions of aliens as well as military jets, you'll have an idea of the intensity and creativity in the action. Where this particular title has achieved such a level of success is how it has encompassed everything in the genre perfectly. It boasts fast-paced intense action, seemingly endless variety, an addicting scoring system, rich plot development, great control and game play, and some of the most creative stages to grace any shooter. In its time, NES open was able to achieve a level of popularity higher than the sport itself. As golf had not yet become a worldly popular sport, NES Open had to offer a lot more than what was expected to attract the crowds, and it did. Not only did it include the Mario crew, but the detail in the control and swing gave players more variety in the game, and a higher level of competition as it became excessively difficult to master. You could select any club, put spin in any direction on the ball for different environments, and adjust the power of the stroke and the direction of your swing based on location, wind, and distance. And once you have all of this down, you get to take Mario and his friends through a series of golfing competitions to try to win a million dollars. One of the controversial titles that was released on the NES. Your only real objective is to kill Hitler, but oddly enough you're unable to jump as you go through this side-scrolling action platformer. Instead, you've got a bionic arm to do everything. In Shadowgate, the player takes the role of an adventurer sent to the ancient keep of Shadowgate to find the Staff of Ages and to halt the evil Warlock Lord from summoning the demon called Behemoth. But along the way, this adventurer notices that Shadowgate has become heavily inhabited with the Warlock Lord's minions. It was a pretty simple design with successful 3D approach that conjured up numerous sequels and a whole new approach at adventure / role playing games. Your mission is to rid the planet SR388 of the Metroid parasites, but their mutations are causing this to be quite a problem. 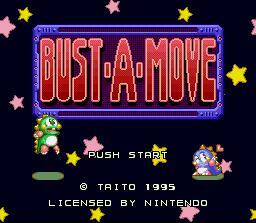 The second title in the series takes place after the GameCube release and marked the first release in the series on the Game Boy. Produced by gaming legend Gunpei Yokoi, this classic seems to only grow more popular with the progression of time. Extremely fast paced racing defines the this title best. There are fifteen total tracks to pilot through at unearthly speeds, all with dangerous jumps and curves between the anticipated strait-aways, separating the fast from the skilled. And your futuristic hovering racer can only take so much abuse, so pure speed alone won't win the championship. The license to use every player in major league baseball helped. But really the biggest factor keeping this game on the list was the controlling and gameplay. Head to head play with your favorite teams and athletes in your favorite stadiums would result in the most competitive gameplay of virtually any major sports game to date. The skill involved with playing the field would allow two experts to enter the 14th inning tied at 1 because each player had a couple lucky hits that were just out of diving range or the center fielder couldn't climb the wall in time. One of the few sports games that is a true reflection of a players skill. Hogan's Alley was a very basic design that made great use of the light gun. The purpose of the game was to have an accurate shot, shooting the crooks, gangsters, etc, while limiting civilian and policeman casualties. Why you're shooting these people at all was not really an aspect of the game, it was just understood that when they suddenly appeared, they were to be shot. As one of Nintendo's first titles, Hogan's Alley's classic design would keep it a fan-favorite to this day. This game wasn't profoundly distinct, but it did combine great action, good graphics and music, and near-impossible difficulty. You play the roll of Jason, who upon chasing his frog down a hole, discovers a mysterious world full of monsters and a dune buggy known as Sopia to explore this new world with. 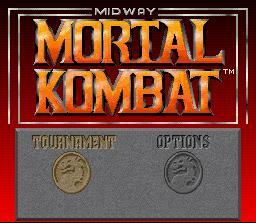 Mortal Kombat helped introduce two innovative aspects to the gaming world. The first was graphics that represented a more distinctly photographic replication of the characters. And the second, blood. Other than that, Mortal Kombat was fundamentally one of the few Street Fighter II imitations that successfully captured a significant share of the market popularity through overly complex controlling and excessive gore. It did have distinct enough qualities, however, to earn it a substantial amount of votes. But the successors of this game, such as Primal Rage, Killer Instinct, and so on, did not. In this case, the first blood spilled seems to have more of an impact on the voter's choice. Now this was an obscure one. You play the roll of a marble, carefully controlling yourself through some of the earliest successful attempts at three-dimensional obstacles. The point was simply to reach the finish line before the time ran out, or to finish the course before your opponent. You could play either one player or two players simultaneously, and this multi-player offered a competitive edge that gave this title a massive fan base. Through the course of the game, there were six different rounds. The first four were pretty standard, but the last couple always came as a nice surprise. The star of the original Ninja Gaiden, Ryu Hayabusa, is back for the sequel, which many argue outdoes the first. Ryu takes aim against Ashtar, the master of evil and the controller of the Jaquio. Ashtar kidnapped Ryu's love, Irene Lew, who was also a CIA agent. Assisted by Robert, a US Armed Forces Specialist, Ryu must battle through various environments, from cities to distant towers to reclaim Irene and enter the final encounter with Ashtar. Keeping the control and game play very similar to the first, Ninja Gaiden II was able to keep the feel for the game the same while making improvements to both the graphics and the story line through enhancing the cinema cut scenes. With these additions, many long-time fans regard this title as the best of the trilogy. Finally, gamers could use their favorite wrestling superstars, thanks to the official license, and make the moves real. No longer were WWF fans subject to horribly acted duals and title bouts. It always boiled down to the thrill of the signature move, the ego and the sigma. This game had it all. But not only that, it was intense, competitive and addictive. Finger speed became an issue and regardless of the equality among characters, every player had their special one they swore by. WWF Wrestlemania spawned the release of over 100 licensed wrestling titles since its release, and although its complexity falls short in comparison, this cartridge still somehow gets pulled out of the closet for some playing time by thousands of gamers every year. This game takes place one hundred years after Castlevania III, and upon the waking of Dracula, a new Belmont grabs his whip and takes the task of the Belmonts before him. Super Castlevania not only offers improved graphics due to the SNES hardware capabilities, but it also takes you through a much longer and more detailed game, struggling through eleven worlds, each with four courses. This fourth installment in Konami's running series only made improvements on their already seemingly perfect recipe for a creepy thriller. The atmosphere, enemies, and original and extraordinary music saw improvements by technology, while keeping the same underlying design that made the previous three titles so classic. Pok�mon Gold and Silver not only boasted drastic graphic improvements, but featured a new map, and one hundred new Pok�mon in addition to the original 151. Besides these improvements, everything beyond the story had differences as well. Not only did you longer play as Ash, and your rivals have also changed. And although the game is not overly difficult, once you've beaten it, there's still plenty to do. Although this was the fourth title to appear in the series on PC, it was only the second on the NES, and it featured better graphics and character development and interaction. However, the primary difference in this title, which distinguished it from all other RPGs, was that the goal was to become the Avatar. There was no quest of becoming powerful enough to fight a particular evil. It was simply to uphold the eight virtues and go against what most other RPG's encouraged. If you went around picking up every available item, even if it didn't rightfully belong to you, or attacking fleeing monsters, you'd never make it through. All along the way, your end goal was to find the Codex of Ultimate Wisdom to finally complete your transformation into Avatarhood. This approach that Ultima IV took in creating a unique RPG took steps far beyond what any other game had previously considered, explaining why title remains one of the most original and innovative games to date. Original character design has always been a key to a great game design. 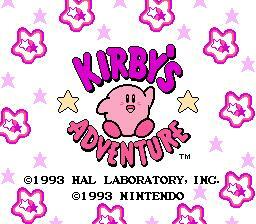 This original game with the little puffy pink figure might not have been his greatest adventure, as many have since followed, including Game Boy's Tilt n' Tumble, but it was Kirby's first ever color adventure. This game was also the only six meg game released for the NES. With this size, comes a huge adventure and numerous mini games, both of which lend Kirby's Adventure a constant supply of votes. Earthbound was a curious title from the golden age of RPGs. Engaging, but completely bizarre. You play the role of a boy, chosen by a bee from the future to be the world's savior. What from? Both a meteor and the neighbor boy. In chasing after this neighbor you pick up allies through an eventful journey. The game represents a parody of the entire RPG genre, though it includes most classic RPG elements. The one primary difference in game play, however, is that the monsters are visible on the map, so that you know when you'll be entering into battle, though there's not much you can do to avoid them as they are much faster than you. With the first real comical approach to the genre, and many innovative aspects, Earthbound has become a fan favorite mainly for its uniqueness and originality. As the first Final Fantasy title to appear on the handheld Game Boy, Final Fantasy Legend made quite an impact on its players. Though the graphics were nothing to marvel over, the game overcompensated with creativity in the maps, enemies, and weapons, including the all-powerful, yet overly fragile glass sword. All in all, Final Fantasy Legend took the limited capabilities of the Game Boy and focused more on design to create quite a captivating title. An obscure title among the classics, it was creative nonetheless. This Lucasarts game has maintained its position as one of the more classic titles through a combination of publicity and originality. It could be seen in just about every gaming magazine from September 1990 through the end of 1991. The game was just a simple design, but the first of its kind. Back when every game was labeled exactly what it was. No fancy titles, just the name of what you're doing. The game however, had interesting options. Two different paces for the ball to travel, two levels of the playing board, multiple special abilities, and a bonus zone that featured Mario saving the Princess in pong format. And once you hit 100,000, your paddles disappear, but the replay value is still somehow at least as good as modern games. Released in 1988, California Games was the original X-Games, as they're referred to as today. It was a competitive multi-player game that involved events such as skateboarding, footbag, surfing, roller skating, flying disc, and bmx biking, all of which were well designed and offered the player a very competitive edge. Mario has yet to experience an uneventful adventure, and this Gameboy hit was the first to introduce the evil counterpart to Mario, the wicked, yet wacky Wario. Bearing the same Italian origin, yet with a crooked mustache, and sporting his yellow cap, Wario would become the next classic villain, following the likes of Bowser and Wart. And it would all start with his first feature in this gameboy adventure, which would offer its fans great control, design, game play and replay value all in addition to the development of Mario's counterpart. Released in the same year that Zelda 3 and Super Mario Kart came out, Super Mario Land 2 still managed to sell an impressive 7 million copies. This was not so much a game as it was Nintendo�s own art and music composition program, staring the most famous Italian plumber in Earth�s grand history. The demo alone is worth thousands of votes and the vast options the game encompassed allowed for endless entertainment. You could practically compose your own symphony, then design a short animated cartoon, and lay that music composition down as the background music. Though this title wasn't so much of a game in itself, it did have mini-games in it with their own mini-bosses for when the artistic life gets dull. 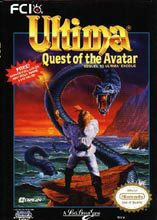 This was the first Ultima title in the series to appear on the NES, and was a successful cover of the PC series. The story takes place in the Kingdom of Britannia, under the rule of Lord British, where two major crises have risen before, caused by Mondain, the magician, and Minax, the witch. But in each, a legendary hero emerged to regain peace to the kingdom. Twenty years into these peaceful times, rumors about the emergence of a fiery island, and the evil that dwells there began to spread. It remained a mystery, however, and was known only as Exodus. When it is learned that Mondain and Minax have together cast a spell on Exodus, Lord British called for four valiant warriors to return peace to the kingdom, and it is your job to lead these warriors on this quest. This was the first game to truly star Mario, and the first to include Luigi as well. Basic? Yes, but there were infinite levels of either solo fun or competitive, cooperative play, taking place in the sewers of Brooklyn, New York. The two now-famous twin brother plumbers set out to rid these sewer pipes of the endless supply of monsters that continued to pop out. The design was very basic, yet original, and helped to create the Mario mega-franchise that made Nintendo what it is today. "96 Foots!" Up to six players can play together in this wacky, yet hugely competitive title, which is quite possibly the single most comical game the NES ever offered. You can choose between 6 Neanderthals, each with their own special skills, as limited as those may be, in the events of dino vaulting, sabertooth tiger racing, clubbing, mate toss, dino racing, and fire starting. Caveman Games boasts a level of competition that is difficult to match by any modern title, and only the very best players could make the caves of fame. Wizardry was a game that entered the RPG scene very early on and possessed many unique and innovative qualities. Among them were a creative 3D environment, and a broad range of character qualities. But the most notable of these however, was that peculiar idiosyncrasy that separates the true RPGs from those just based on graphics and the standard formula. It's difficult to say exactly what that quality is, but it accounts the excessive addiction to any true role playing game. In all simplicity, Wizardry was one of those titles. Diddy Kong's Quest was a graphic marvel that many even argued was better than the original, but the originality of the first seems to keep this sequel's voting a little slimmer. As the story goes, Donkey Kong was kong-napped by K. Rool and Diddy and Dixie Kong set out to rescue him. For fans of the original, all the familiar characters have returned, accompanied by a few new ones. But fundamentally, it's a true extension of the original with a little extra kick to it, a couple extra missions, and a Lost World. 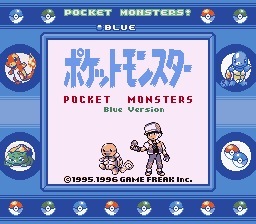 Before Pokemon Blue and Red, this game started the series... which made the craze in the U.S. Released in Japan in 1995, it became an instant success, creating a following large enough to call on several sequels and a TV series, which began in April of 1997 under the same name. The show became nearly as popular as the game, and only fueled the addiction further. Of course the show on December 16th, 1997 produced some illness (i.e. seizures) in about 700 viewers. An odd spectacle that only added to the popularity when the series was continued a few months later after a temporary delay. Hailing from the golden age of RPGs, Lufia stood out as a genuinely memorable title. According to the story, one hundred years ago, an epic battle took place between four heroes and the four Sinistrals. The heroes emerged victorious, but two fell in the battle. Now in the present time, you play the role of an descendant of one of the four heroes of old. Peace has lasted since the defeat of the Sinistrals, but monsters have again began to spread across the countryside and a neighboring kingdom has been ransacked. After one hundred years of peace, nobody is prepared to confront this danger, and so you and your childhood friend, a mysterious orphan named Lufia, set out with hopes of bringing this small reign of evil to an end before it escalates into something of larger proportions. The graphics, game play, battle system, sound, and detail all matched the depth and value of the plot line to create one of the most beloved RPG titles to appear on a home console system. This title saw immense hype before it came out, and few were disappointed upon its release. It was fundamentally a revision of the original title, adding real voices, enhanced graphics, and a 4-player death match. Like the original, it was not strictly linear game play, and although the game featured fifteen total missions, only seven of them were required to win the game. Again, you play the roll of Fox McCloud, heading the Starfox fighting squadron, and your father has been killed by the mad scientist Andross. He has since began advancing his control over the majority of the galaxy, and who else could stop him but the Starfox fighting squadron? What this game is remembered for primarily is the game play. The classic arcade-style futuristic flight simulation, beautifully rendered, blended with Miyamoto's character development. Not only was it different than most popular titles of its time, but it also introduced the N64 Rumble Pak, which accompanied the game when purchased, allowing the player to feel the action. For the explorative gamer, Pilotwings 64 offered more than could ever be hoped for. There wasn�t much in the way of a purpose to the game, but the world was big and given the vehicle of your choice, by land or air, it was all open for you to uncover. You could buzz your plane right overtop of the streets of New York, hang glide over the grand canyon, parachute from 30,000 feet, or take your jet pack across the country, stopping to take pictures at the Statue of Liberty, Mount Rushmore, and numerous other landmarks, taking a short break at the major cities to fuel up. 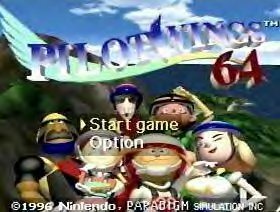 As one of the first two games released for the Nintendo 64, Pilotwings 64 took all honors as one of the best exploration games ever created. This GameCube title came as the sequel to the highest selling fighter game on the N64, and expanded on all aspects of game play. It offered 25 usable characters through either single player mode, or multi-player with up to four players simultaneously. In addition to the new single player mode, there's also Event Matches, Training mode, Versus mode, custom playoffs, Giant-size Melee, Slo-motion Melee, and a Stadium mode, which included Target Test, Home-Run Contest, and Multi-man Melee. All of this variation was supplemented with beautifully rendered graphics through 18 available arenas plus secret arenas. The music accompanies it all perfectly with orchestrated versions of the classic themes. In addition to that, it keeps track of all statistics, allowing you to check everyone's records over time. Not everyone is familiar with this title, but it has seemingly captured the votes of all who are. Extremely rare in the U.S., this Japanese game was not so much a game in itself, but rather the software to design your own. It allowed the player to become the designer of their own role playing game, customizing everything. You begin with the hero, or possibly heroes, as you can have up to twelve, then begin creating countless spells and abilities, as well as the battle animations of each. Then you can give those heroes a world, selecting a map out of about three hundred available, all with highly varied environments. Next, write the entire story line of those heroes as detailed as you wish. Then create the enemies, customizing them on all levels, even creating races of enemies. And being as exploration would be limited without the introduction of alternate traveling methods, including land, air, and sea vehicles. The variation in creating your game is nearly endless, and in Japan, upon the release of this game, there were lucrative contests to see who could develop the best RPG. But as it is quite a rarity in America, the majority of voters have yet to experience this title. Super Mario Kart was first released on the SNES in 1992. 1996 saw the sequel: Mario Kart 64. And the long-anticipated most recent installment in the series, was released just before the holiday season of 2003. Much like the n64 title did to the original, this title basically took the same formula that has worked so well for the previous two titles, and just expanded on it slightly, adding new courses, weapons, and options. This Game Cube version has the ability to pick any combination of two unique characters, select a kart that matches the weight of those chosen characters, get a variety of new weapons, each racer having their own special type that they can acquire, and unlock new tracks, and secret characters and karts along the way. Virtually all of what made the previous two so popular is still an aspect of this modern title. All the original characters, the majority of the classic tracks like the raceways, parkways, Bowser's castle, rainbow road, and so on. The main addition to this game, beyond just the new graphic capabilities, is the use of two-man karts, which allow you to select two characters. This allows for more variability in multi-player as well, being as now the players can either play co-op in addition to going head-to-head. The series has managed to incorporate new technology and innovation when available without hindering the fundamental game play that has put the Mario Kart titles into the charts. Don't see the games you voted on? Check the games that just missed the cut off here.